Tesla Model 3 – Things You Need To Know! Here is the upcoming “Competitive” electric car by Tesla. Even the company has not launched Tesla Model 3, and people are waiting in queue to book the car. But when this electric car took the stage on March 31, it was very difficult to resist. After observing this automotive, we got to know more things about this electric machine and yes thanks to the tweets from CEO Elon Musk. Further, you will find some FAQs related to upcoming Tesla Model 3, in order to get more information about this stunning electric car. When will Tesla Model 3 arrive in the market? The Tesla brand stated that the production for Model 3 will start at the end of 2017. Its starting production is the indication of small batches which will be for supervisory purposes, but not for sale. Sliding towards the mass productions, the company will take several months – meaning that it should arrive in early 2018. What will be the cost of this electric car? The base variant of Model 3 will comprise the cost around $35,000 excluding all the federal or state tax credits. As we have observed the Tesla pricing criteria, the prices of cars accelerate along with power or functionality. Will the Tesla Model 3 employed with front, rear or all-wheel drive? 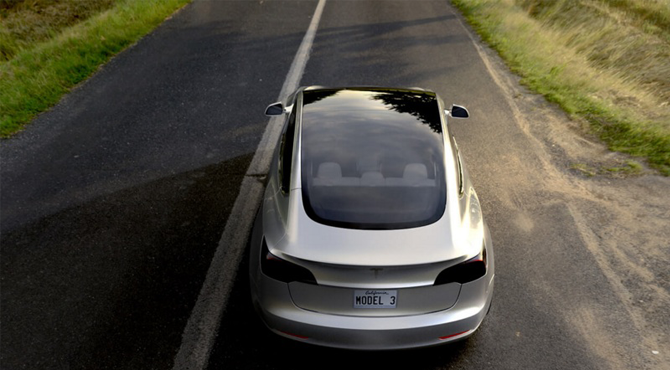 Similar to Tesla Model S, the Model 3 will propose rear and all-wheel drive functionality. Either it will come deployed with single or dual motors. What is the 0-60 mph time with single and dual motor setup? For the base variant, the 0-60 mph time is said to be less than 6.0 seconds, but the variant incorporated with dual-motor setup should be significantly faster. Thus, with dual-motor the reach of this car for 0-60 mph would be in less than 6.0 seconds. Is the front-end styling of this car finalized? After seeing the Tesla Model 3, many people have slated on its grille, duck-billed unicolor front end that of course makes contribution in the car’s aerodynamics. But CEO Elon Musk has stated that the front-end styling of Model 3 will be out with some tweaks. How far can this car go on a charge? Tesla claims that on a full electric charge, Model 3 can go 215 miles far. It is important to know, since the car does not have any gasoline engine setup, thus after buying this machine you have to constrain about the recharging plugs. In addition, the Elon Musk said that Model 3 will cover the order of 0.21 which would make it one of the most aerodynamic vehicles running on the road. Will the car only come with single display screen? According to the brand, the car showed during revelation (Having single-mounted screen along with minimal instrumentation aspects) were for production intent. 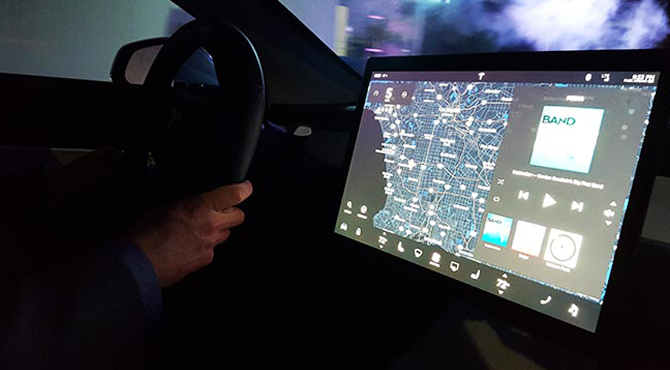 On the other hand, when people asked about the individual instrument panel or roof-mounted display screen, the Tesla’s CEO said: “instrument layout will make sense when the part 2 of Model 3 will launch”. Will Model 3 have all auto-pilot features? The auto-pilot features of Tesla comprise hardware and software. All the variants of Model 3 will come appointed with advanced safety functions as standard along with convenience software aspects that can cost extra bucks. That means, all the Model 3’s variants will have front and side collision resistance while in the form of software it will come integrated with adaptive cruise control, automated lane changing, automatic parking feature, and lane-keeping assistance.